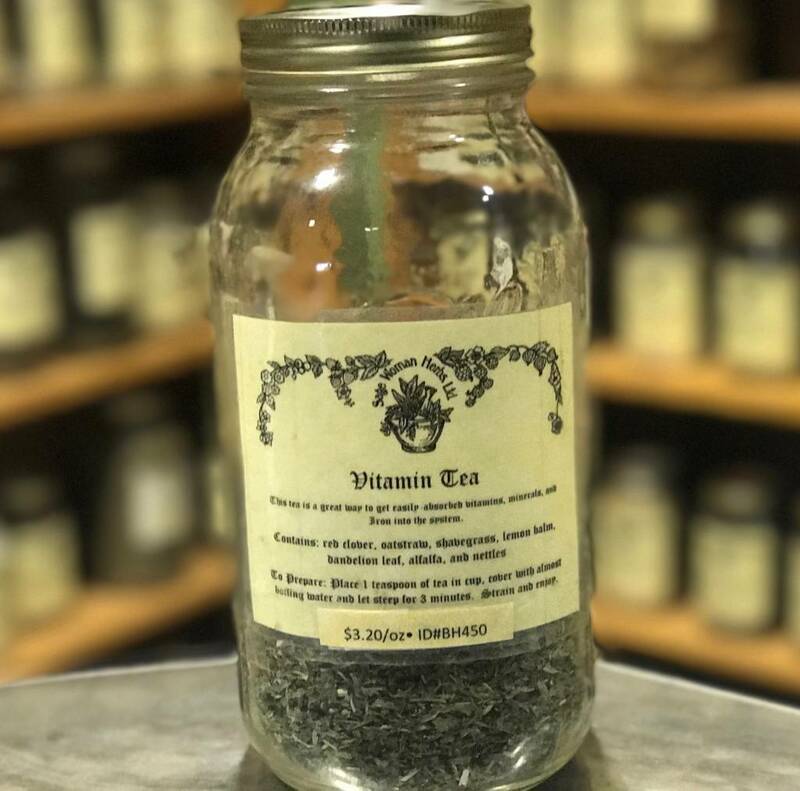 This tea is a great way to get easily- absorbed herbal vitamins, minerals, and iron into the system. 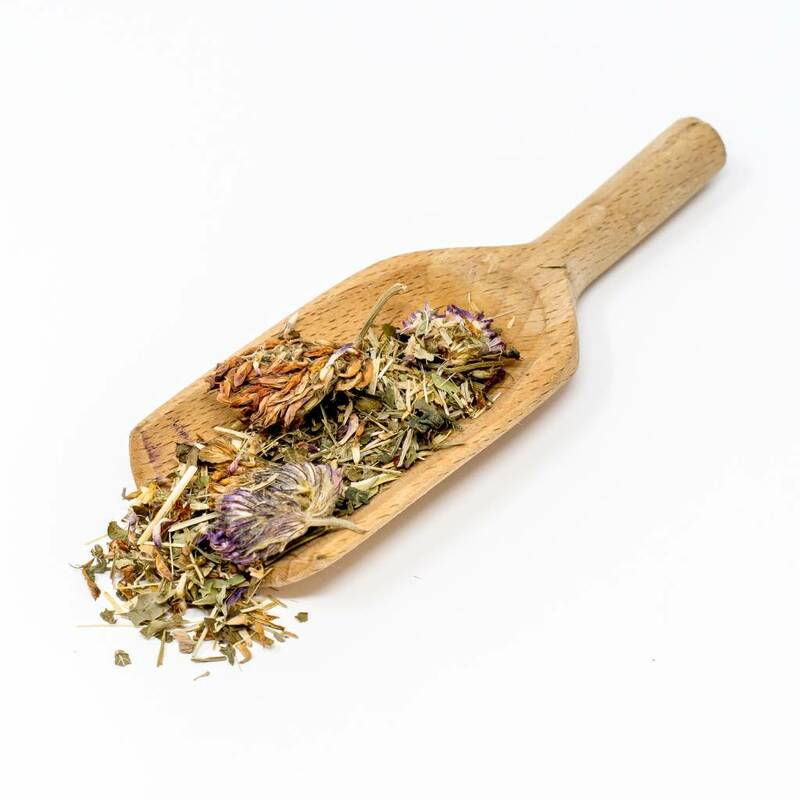 Contains: red clover lf and fl, oatstraw, shavegrass herb, lemon balm lf, dandelion lf, alfalfa herb, and nettles lf. To prepare: Place 1 tsp. of tea in cup, cover with almost boiling water and let steep for 3 minutes. Strain and enjoy.